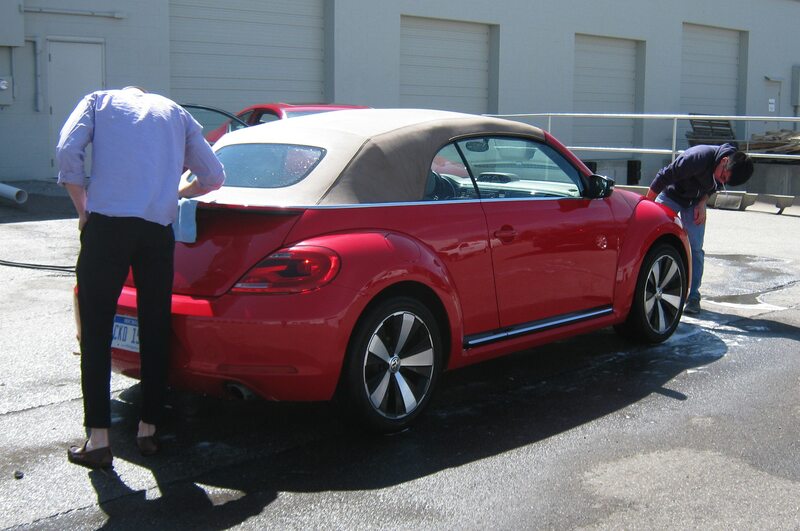 When you last heard from our four seasons 2013 Volkswagen Beetle Turbo Convertible, it was busy soaking up the Southern California sunshine after we sent it away to escape the Midwest winter. 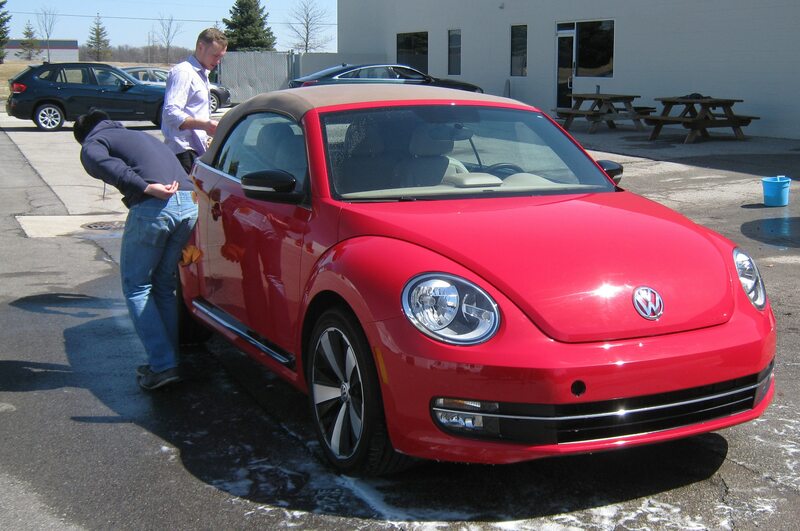 But when the frigid weather finally broke in our part of the country, our Michigan-based staffers were suddenly eager to get back behind the wheel of our bright-red Beetle. 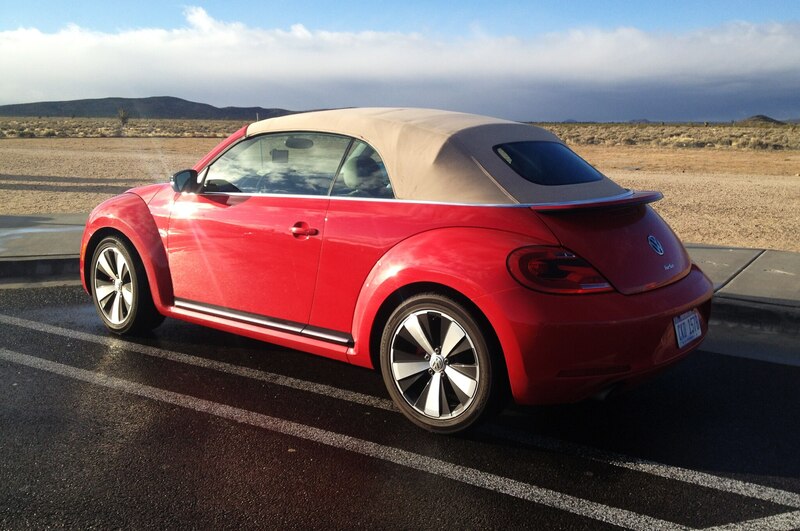 Lucky for us, Tim Jennings—husband of editor-in-chief Jean—generously volunteered to make the trek back across the country in the Bug. 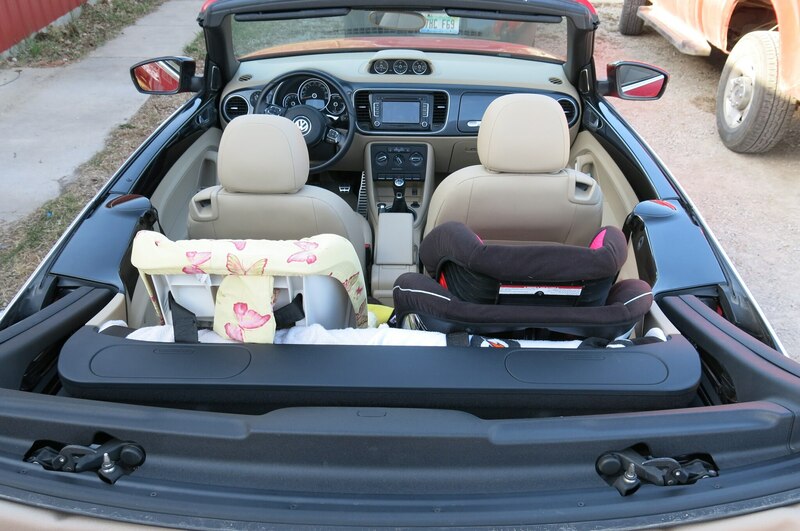 Jennings reported an incident-free journey, with a few rants and raves to share about the Volkswagen. The 2.0-liter engine’s turbo lag was among his list of negatives, as was the car’s subpar stability in a heavy rainstorm that forced him to slow his pace. 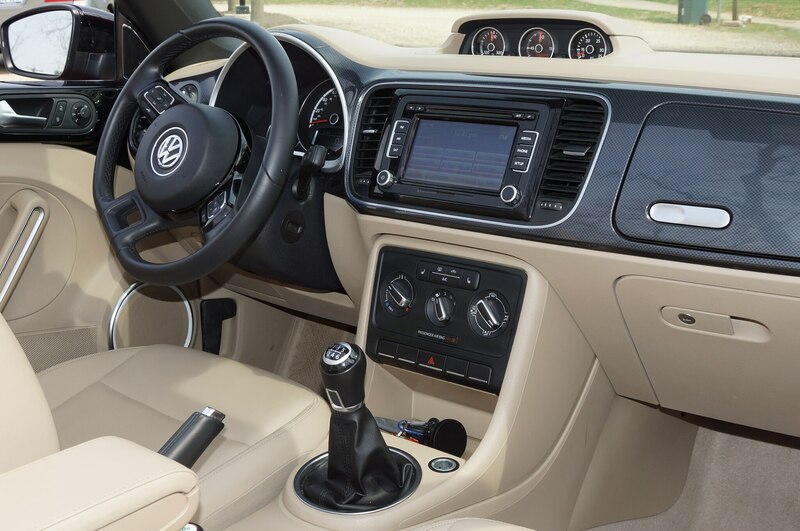 But he did find the seats to be reasonably comfortable over a few 800-mile days, and also said that the Beetle made it up Colorado’s steep Vail Pass in sixth gear, a testament to the turbo four-cylinder’s low-end torque. 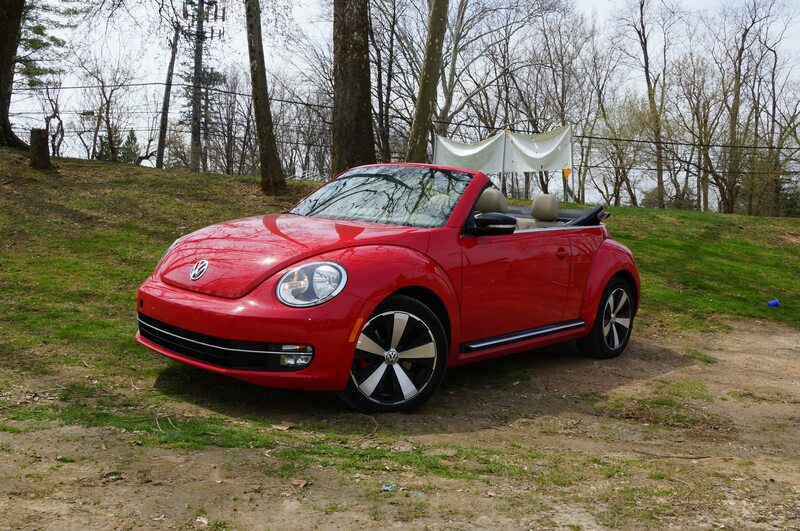 Now that our year with the 2013 Volkswagen Beetle Turbo Convertible is coming to a close, the reappearance of the sun has made some staffers remember why they liked the Beetle Convertible in the first place. 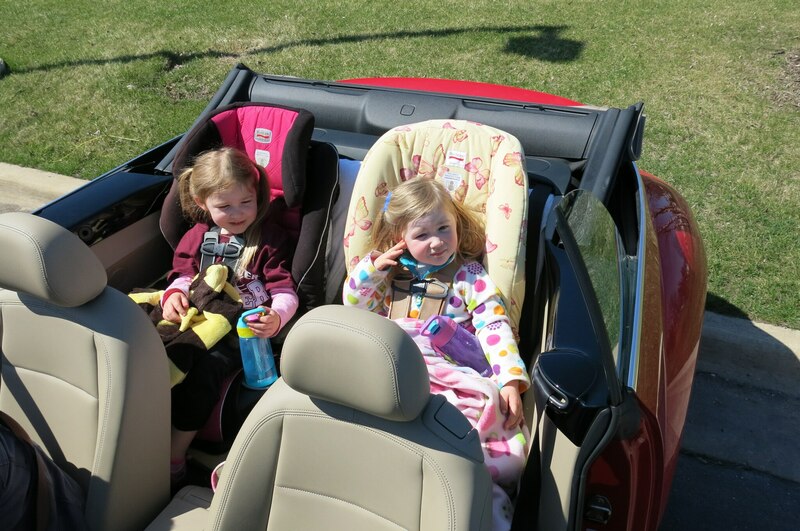 So our 2013 Volkswagen Beetle Turbo Convertible’s twelve-month stay with us is ending on a high note (and with the top down). 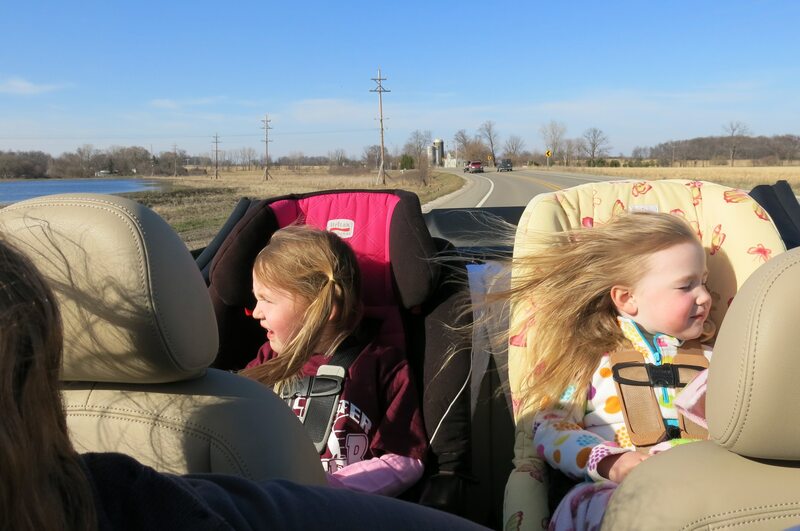 It’s been across the country and back, and went on road trips everywhere from Martha’s Vineyeard to Milwaukee to Montreal. 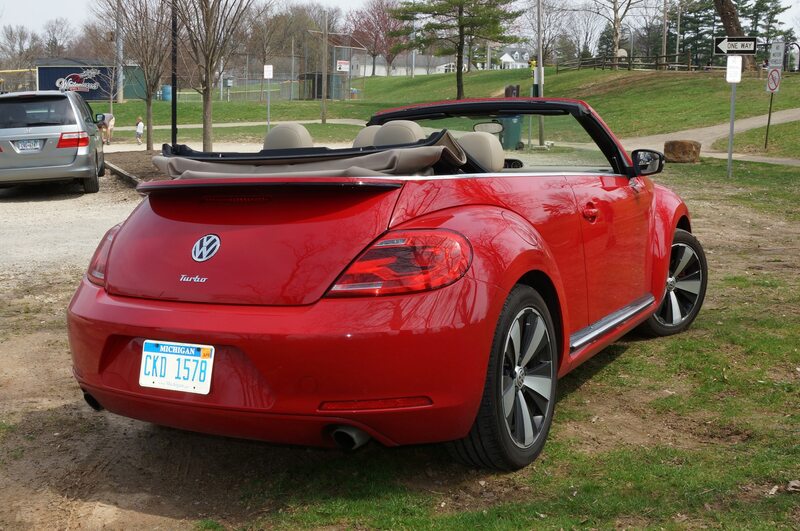 Stay tuned for the four seasons wrap-up to hear more about our twelve months with the Beetle Convertible.